Smartphone manufacturers keep rolling out newer and better smartphone models than what they offered in the past. 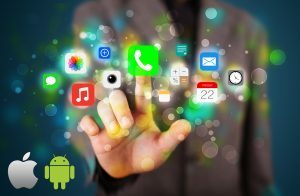 As much as most people can plunk down a cool $1,000 for a smartphone, you certainly need some apps to enhance your phone’s functions, some of which are free of charge. With hundreds of thousands of mobile apps, getting the best can be a tough call, especially if you need a free app. Here are some free apps every smartphone owners should consider installing on their phone. The AirDroid app is tailored to help Android users access the contents of their smartphones from a computer – windows or Mac. Upon successful pairing, this app allows you to make calls, send text messages, or send emails using your computer. You can also use your apps and transfer files. This app is recommended for people who need to keep anything on their smartphone safe from prying eyes. AppLock is an absolute necessity for individuals with a phone that doubles up as a personal and business phone. If need be, you can use it to avoid unauthorized access to the gallery and installed social apps. After installing, add everything that needs to be secured, and of course, secure the app. Imagine using your phone as a printer. A CamScanner acts a multi-function printer. It allows you to scan documents and convert them to PDF format. Moreover, it also has smart cropping and auto enhancing features that ensure that the ‘scanned’ text is clear. As if that is not enough, you can also secure confidential documents with passwords. While on the roads, it is obvious that anyone would want to use the fastest route by avoiding traffic and delaying highway incidents. Waze, a GPS- based app, can help you find the best path based on the current traffic conditions. If you have Android Auto, you can connect it to Waze and use the app from your car’s display.